The OGS glider team was created in spring 2007, when a shallow water SLOCUM glider (manufactured by Webb Research Corporation) was purchased. This glider was named TRIESTE-1 after the famous bathyscaphe Trieste designed by August Piccard in the 1950's. 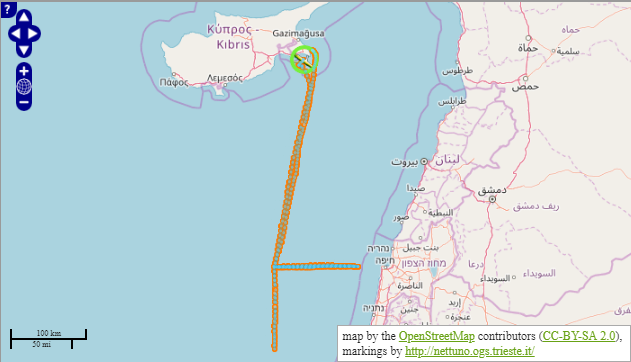 After having performed different missions in December 2009 the communication with TRIESTE-1 was lost in the area South of Cyprus. It was never recovered! In 2010, the OGS glider group conducted another mission in the Ligurian Sea using a French glider thanks to the EGO collaboration. In spring 2012 a SeaGlider manufactured by the IRobot (named Amerigo) was acquired with the main purpose to use it in the area of the South Adriatic since it is designed for deep waters (up to 1000 m). This area, during winters, is a site of deep water convection which is monitored by OGS every year. In October 2013 two new SLOCUM gliders, Galileo and Leonardo, designed as shallow water instruments became part of the OGS fleet. They will be mainly operated in the north and central Adriatic Sea. 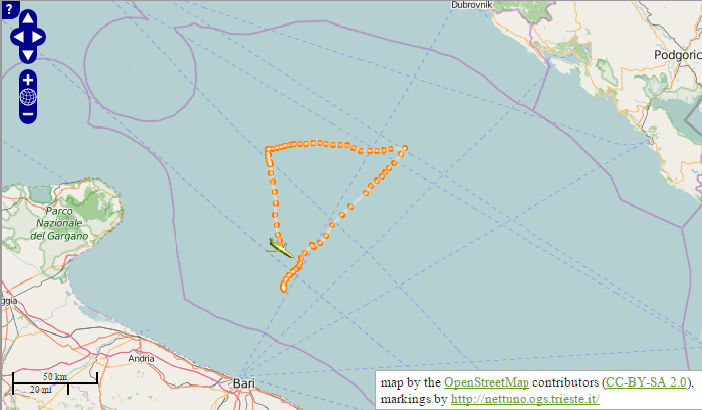 The Seaglider sg661 Marco will be deployed in the Southern Adriatic Sea along the Molfetta – Dubrovnik transect. The purpose of the experiment was to monitor the pre-convection condition in the area. 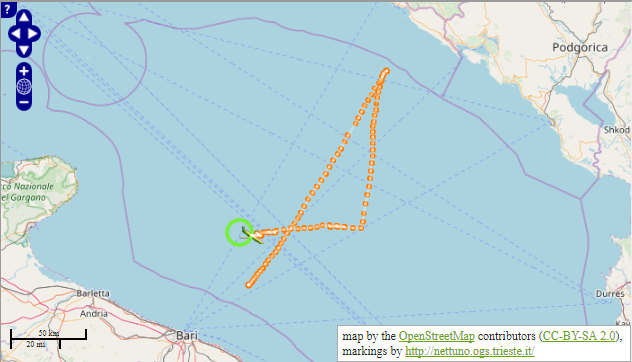 The Slocum 403 Leonardo was deployed in the Southern Adriatic Sea along the Molfetta – Dubrovnik transect. The purpose of the experiment was to monitor the convection mechanism in the area. The Seaglider Amerigo was involved in the MELMAS experiment in the East Mediterranean. 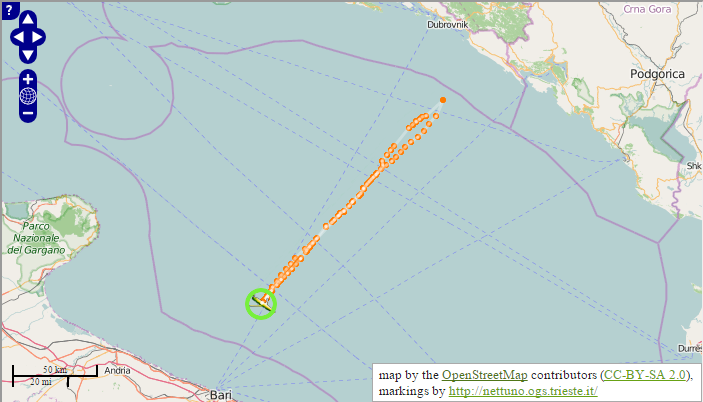 The Slocum 402 Galileo was deployed in the Southern Adriatic Sea along the Molfetta – Dubrovnik transect. The purpose of the experiment was to monitor the pre-convection condition in the area. 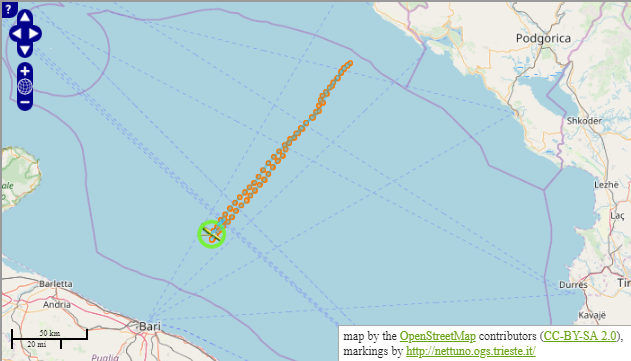 The Slocum 403 Leonardo was deployed in the Southern Adriatic Sea along the Molfetta – Dubrovnik transect. The purpose of the experiment was to monitor the post-convection condition in the area. 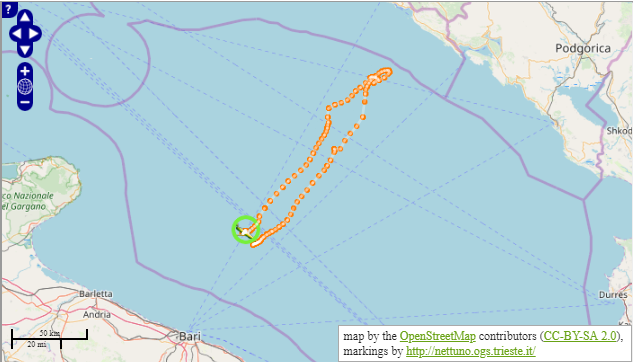 The Slocum 403 Leonardo was successfully operated for 10 days in the Southern Adriatic Sea along the Molfetta – Dubrovnik transect. The purpose of the experiment was to monitor the pre-convection condition in the area. 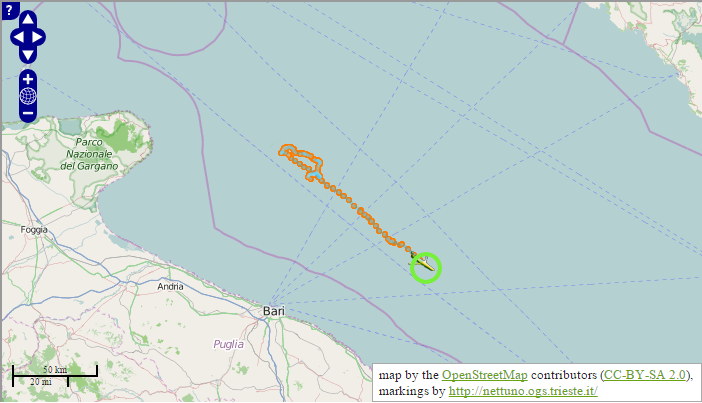 The Slocum 403 Leonardo was deployed in the Southern Adriatic Sea. The purpose of the experiment was to study the post convection and the effect of the deep water formation in the North Adriatic Sea. The glider covered part of the transect Molfetta – Dubrovnik and an area close of the Italian slope to inquire about the dense water cascading. It was piloted down to almost 1000m deep in the area of the south-Adriatic pit. The Slocum 403 Leonardo was successfully operated for 10 days (from November 20 to December 1 2015) in the Southern Adriatic Sea. The purpose of the experiment was to study the pre-convection in the area. 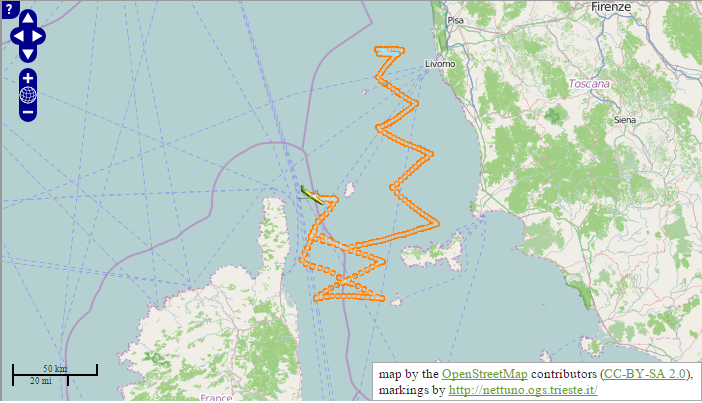 The glider covered the transect Molfetta – Dubrovnik. It was piloted to perform an Adriatic longitudinal transect, down to almost 1000m deep in the area of the south-Adriatic pit. 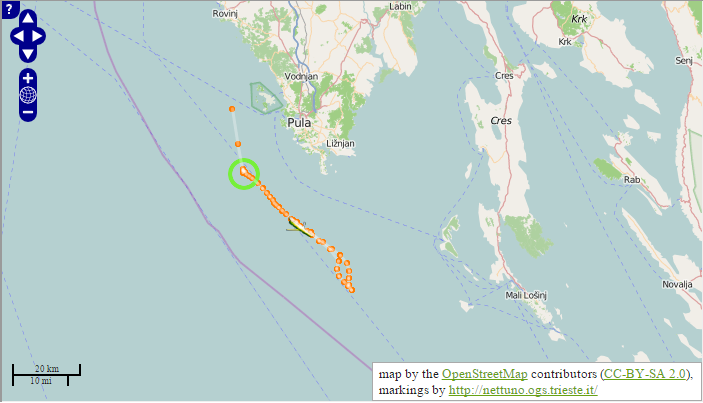 The Slocum glider Leonardo was operated in a 4-day mission within the North Adriatic Experiment 2015 in the Kvarner area. About 700 yos between 20 and 45 meters were performed collecting high frequency data of pressure, temperature, conductivity, oxygen, chlorophyll, CDOM and backscatter. 24-27 February 2015. The Seaglider Amerigo was successfully operated for 3 weeks (from February 15 to March 6 2014) in the Southern Adriatic Sea. The purpose of the experiment was to study the winter deep water convection in the area. 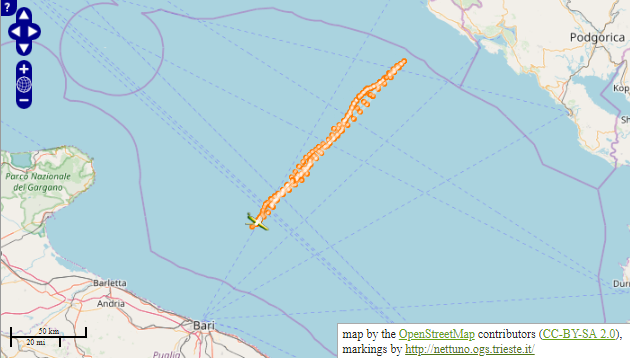 The glider at first covered the transect Molfetta – Dubrovnik and then it was piloted to perform an Adriatic longitudinal transect, down to almost 1000m deep in the area of the south-Adriatic pit. 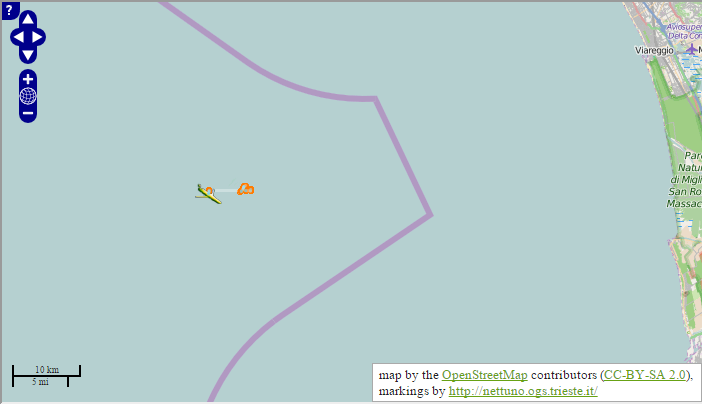 At the end of the mission a butterfly sampling was performed close to the E2-M3A mooring. 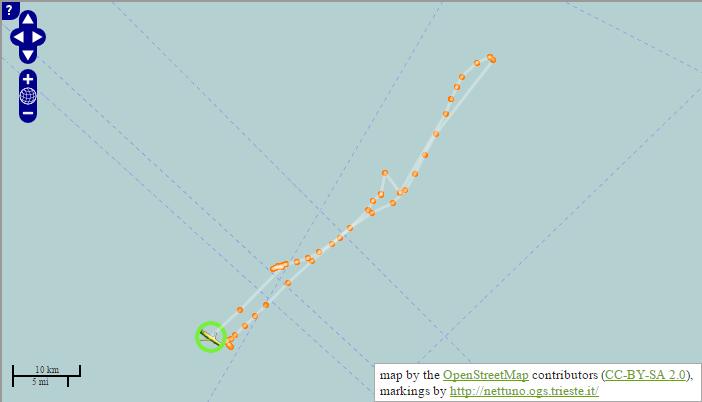 The Seaglider Amerigo was deployed on May 15 and recovered on May 21, 2013. 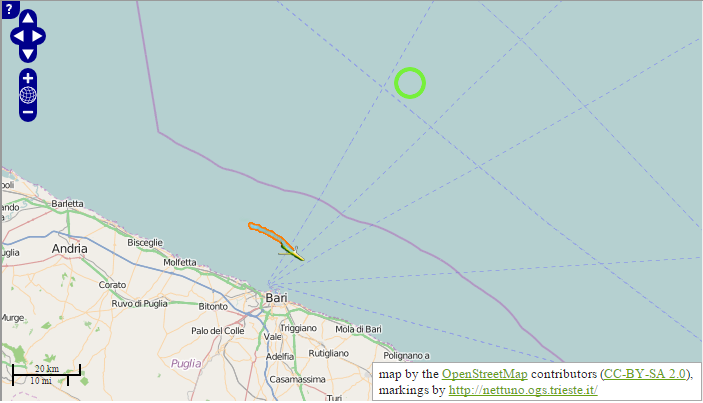 The area sampled during the mission covered the South Adriatic pit and the slope close to the Italian coast. In this experiment the OGS pilot team had the opportunity to trim the newly acquired glider fine-tuning the navigation parameters. 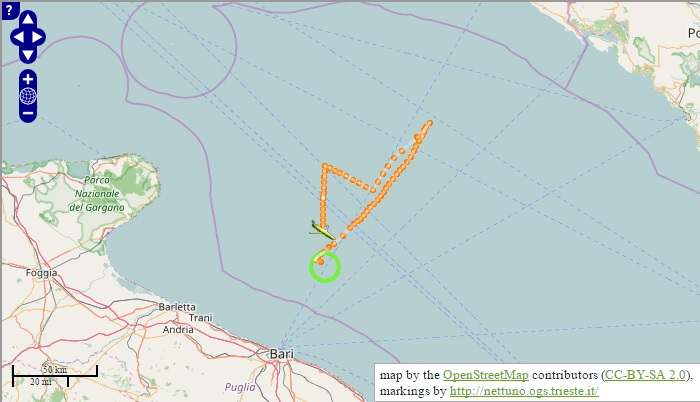 The Seaglider Amerigo was deployed in the Southern Adriatic Sea after the Teledyne tests. The mission last less then a day due to the WetLab fluorimeter connector leakage and some glider trim issues. 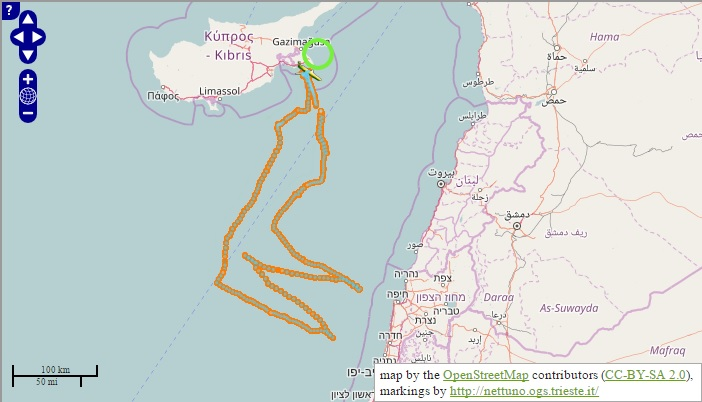 The slocum glider ‘Trieste 1’ was implied as part of an international project in the Levantine basin focused on a permanent cyclonic gyre south of Cyprus. The aim of the experiment was to produce an accurate 3-dimensional survey of this structure is supposed to create a physical barrier, which disconnects the “inside gyre” ecosystem dynamic to the “outside gyre” one. 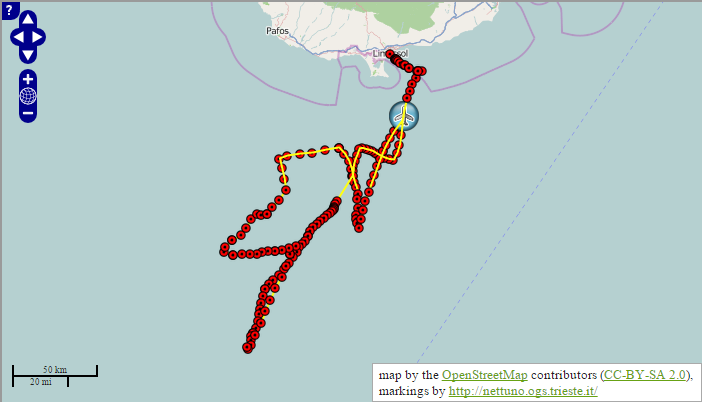 The mission last almost a month and was performed together with other 4 gliders: 3 deep gliders (sampling to 1000m) and an other shallow (sampling to 200m).gyre” one. 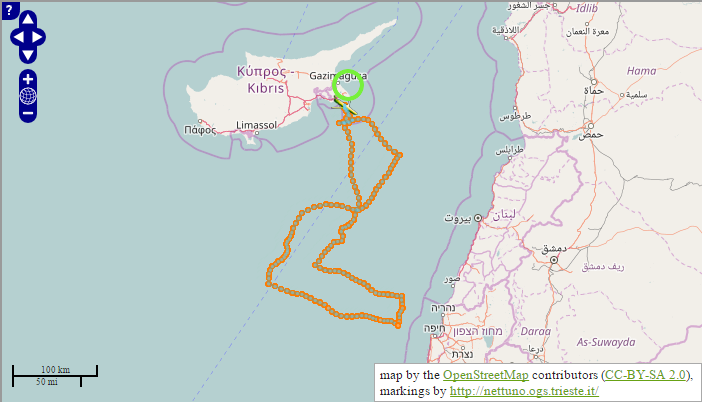 The mission last almost a month and was performed together with other 4 gliders: 3 deep gliders (sampling to 1000m) and an other shallow (sampling to 200m). 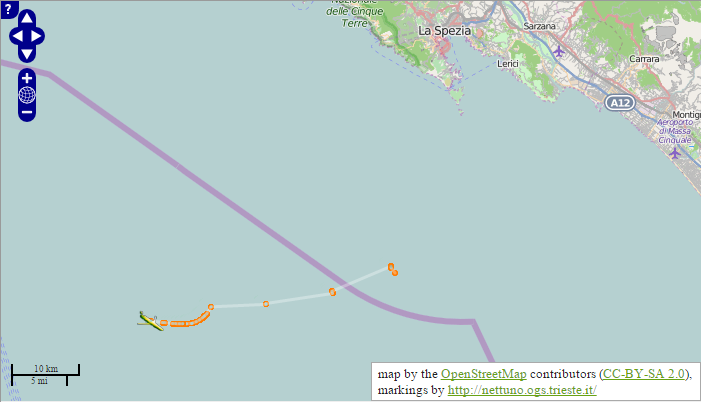 The slocum glider 'Trieste 1' was operated around the Vercelli seamount in the Tyrrhenian basin (Western Mediterranean Sea). The aim of the experiment was to study the effect on the hydrodynamics of the Vercelli seamount rising from the ocean seafloor (more then 1000 m) to 55 m below the surface. 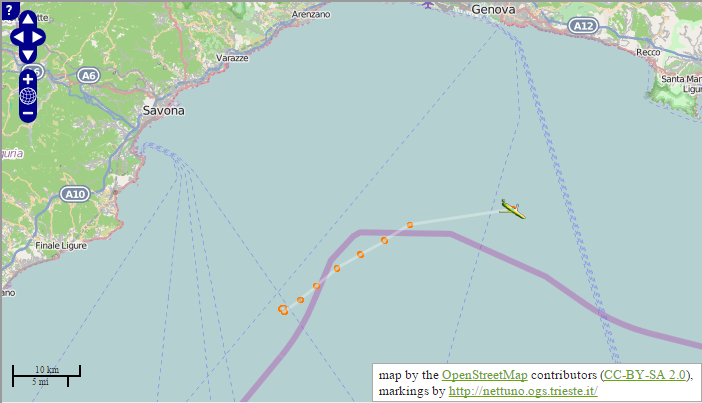 The slocum glider ‘Trieste 1’ was deployed in the Ligurian Sea during the MREA08 Experiment. The main goal of the experiment was to collect oceanographic data to calibrate and validate the MREA (Marine Environmental Rapid Assessment) model system for environmental applications (i.e. : contaminant dispersal) in open sea and coastal areas. 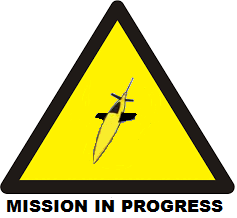 The glider experienced some technical problems (rudder damage, leakage) and performed only a limited number of profiles. 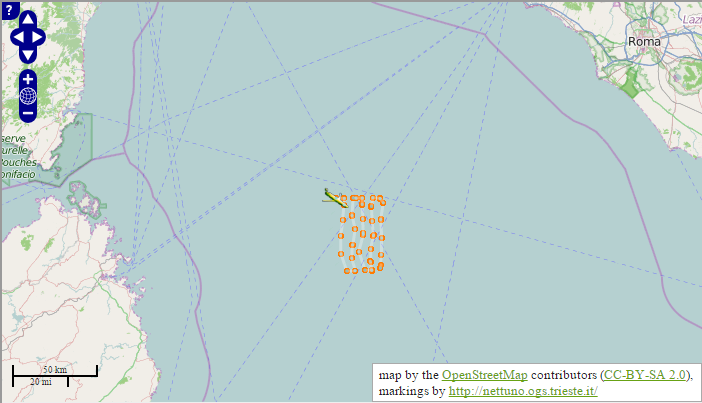 The MREA07 mission initially involves sampling along the transect between (25 nautical miles) the buoy SAMA-MAMBO (44°02’N - 9°50’E) and the buoy ODAS (43°47,36’N - 9°9,80’E) (25 nautical miles). The experiment lasted 3 days and, the glider had to remain underwater for 5 hours.